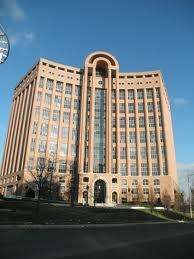 We are located on the 15th floor of Towers Crescent in the Tysons Corner area of Northern Virginia. Upon entering the building, please follow the directions to the “Tower Club” where you will find elevators leading to the 14th floor. At the fourteenth floor, walk around to a second set of elevators that will bring you to our offices on the 15th floor.